The Canon EF 400 f4 DO IS ii was introduced in November 2014. 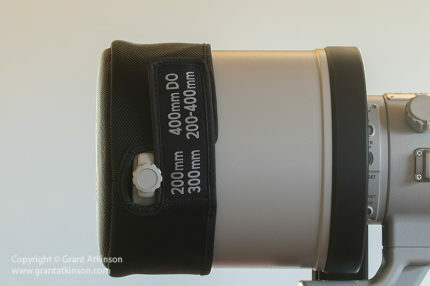 The lens replaces the original EF 400 DO IS, which was released around 2001. The DO designation stands for diffractive optics, which is a lens technology that helps reduce the overall size of the lens, whilst effectively combating chromatic aberrations. The EF 400 f4 DO IS ii is currently the lightest and most compact professional quality lens for its focal length and maximum aperture, and that feature remains one of the lens strong attractions. At a casual glance the new lens looks similar to the older one, but it is really an all-new design, with significant improvements in every sphere of performance. I managed to get my hands on a loan unit soon after the new lens was released, and used it for several photographic trips. I got a second loan unit from Canon SA, in late 2016, before actually buying a copy of this lens for ourselves. The first copy of the lens that I used was not nearly as sharp as the last two. I did not determine the reason for that discrepancy (the first loan unit might have been dropped or bumped etc), nor did I take the time to micro-adjust the lens to my camera bodies. The second and third copies have produced very sharp images, also with no micro-adjustments made for any of our Canon bodies. The EF 400 f4 DO IS ii is entirely new. It is a fixed focal length design, and has a barrel made of metal. The lens mount is standard Canon EOS, with a weather-sealing ring to help keep moisture and dust from working its way into the lens/camera body join. The base of the lens is smooth, without any of the (grip-assisting) ridging found on some other Canon L-series lenses, perhaps because of space constraints in the compact design. There is a new, flush-mount panel of switches that wraps around the left side of the lens barrel. This panel houses switches for focus mode, and focus distance. The switches are recessed and require deliberate pressure to move them, which is good. On the older version, I often bumped a switch without knowing. This no longer happens. There is also a 52mm filter holder at the lens base. The lens comes with a clear glass element in the filter holder, and Canon maintain that it should be kept in place when no filter is being used. I never use filters on long telephoto lenses, and make sure to keep this filter holder firmly in place, so that dust stays out. The EF 400 f4 DO IS ii now has an integral tripod ring with a knurled locking knob, identical to those on the rest of the version ii Canon super telephotos. The collar is not removable, although the tripod foot can be detached quite easily by means of four screws. In the images here you will see that I have attached a lens plate to the bottom of the tripod foot, which helps me with handling the lens. 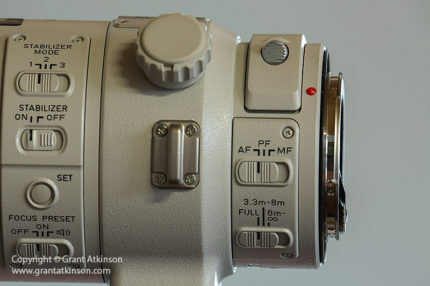 An aluminium identification plate and a focus distance scale are located on top of the lens barrel. There are also mounts for the lens strap that is supplied with the EF 400 f4 DO IS ii. A second, recessed switch panel on the left of the barrel houses switches for the three-mode image stabilization unit, which is effective for at least four stops, and the focus preset controls. The focus ring is textured, tapered and quite wide. In front of the focus ring is a knurled collar that can be used to return the lens to a preset focus distance, or for making a controlled focus “pull” when shooting video. Ahead of this, there is a black rubber lens ring, fixed in place, which is home to four evenly-spaced lens function buttons. 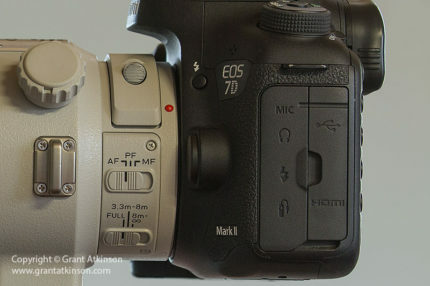 These four buttons can be programmed to perform various functions, depending on which camera body you mount on the lens. 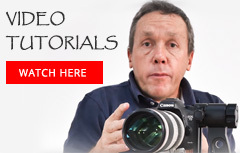 Canon have been steadily expanding the functions that can be accessed with these buttons. On the 1DX Mark 2, and the 5D Mark 4, there are a wide variety of AF functions that can be assigned to them. The front section of the EF 400 f4 DO IS ii is all black now, where the lens hood clamps on, and it doesn’t show scuff marks like the white paint did on the older version. The lens hood attaches firmly with a single locking knob, and provides plenty of protection for the front element, due to its depth. The new design lens hood does away with the set of small screws that used to work themselves loose on the old lens hood. There is a nylon cover that slides over the back of the lens hood, and locks in place with a velcro tab, when the hood is inverted for storage. The cover is the same as that for the EF 300 f2.8L IS ii and EF 200-400 f4 IS lenses as is the hood itself. On the inside of the beautifully finished, metal lens casing, the EF 400 f4 DO IS ii is an all-new design. There are 18 elements, in 12 groups. The main diffractive optic is now dual-layered and is located deeper within the lens barrel. There is also one UD element and a large-diameter ground aspherical element. Super Spectra coatings as well as Canon’s Sub-Wavelength Coating, all combine to prevent flare, ghosting and reflections. The lens front and rear elements are coated with Flourine, which is an anti-smear coating that helps them stay clean. All these coatings, Super Spectra, SWC and Flourine, have proven their effectiveness already in Canon’s super telephoto version two lenses and they work just as well here. There are 9 aperture blades in the lens diaphragm. The EF 400 f4 DO IS ii weighs just 2100g. 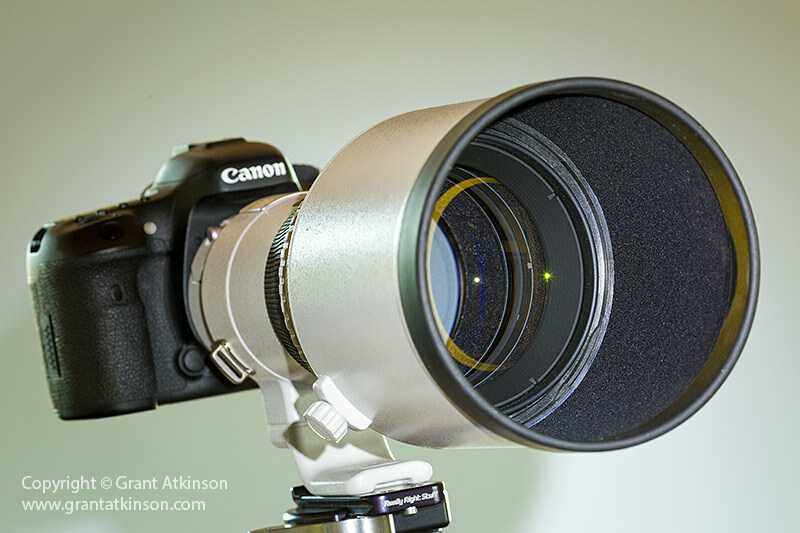 It has a chunky look to it, being relatively short, and having a large lens hood. 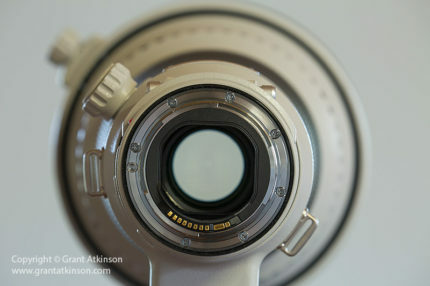 All moving parts are inside the lens barrel, and there is no change in size during focusing. If the new lens is heavier than the first version, that may be due to improvements relating to the robust build..so far I have yet to hear of a single failure in the field, although it may be too soon to tell. I have known two copies of the older 400 DO lenses to come apart internally after heavy use but I am sure the redesign addressed whatever caused those issues. Our own EF 400 f4 DO IS ii is in its third season of hard work and shows no sign of wear and tear at all. The white paint coating the lens is tough, just like that found on the EF-L super telephotos. 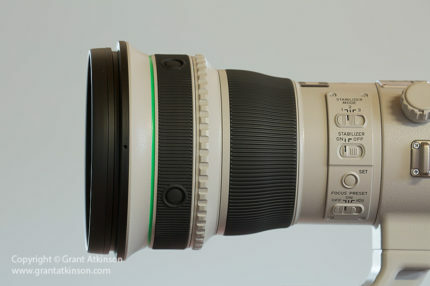 In fact, the only visible difference between this lens and those is that it has a green ring around it, instead of red. The white paint on the lens helps to reflect heat when shooting in the sun. 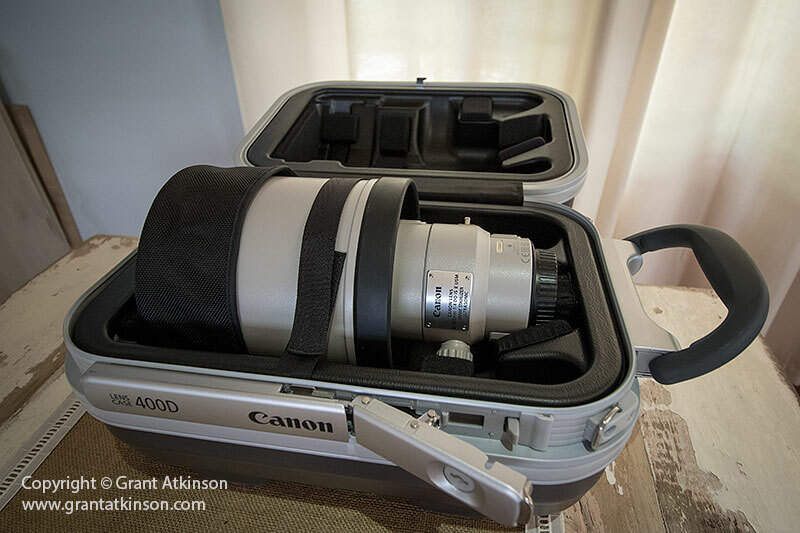 The lens comes in a very robust, hard plastic case, which is great for storing it. The case is well made and can be locked but is quite bulky and has no room for anything else inside, with a moulded insert that holds the lens firmly in place. Handling is one of this lens greatest strengths. Firstly, you realize in the instant that you pick the lens up, that it is lighter than it looks. 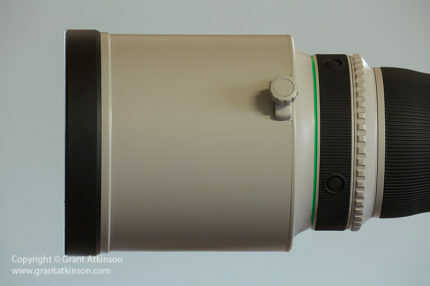 Of course, light is a relative term, but for a 400mm f4.0 super telephoto, 2.1kg is very little. The EF 400 f4 DO IS ii is also fully featured with all of Canon’s latest big-lens technology. This adds still more to the positive handling experience. Examples of this are the way that the tripod collar locks and releases easily, and rotates super smoothly, with four click detents that make it simple to align the lens properly, even in the dark when using a gimbal. The well-recessed switches for image stabilization, and focus settings are all located on the left side of the lens, where it is easy to reach them, whilst shooting. The lens barrel itself is quite narrow for the first half of the lens length, which also makes handling easier because you can grip it with one hand. I usually attach a lens plate to the bottom of the tripod foot on all my telephoto lenses. This makes the lens foot longer. It also makes a good place for me to hold the lens with my left hand whilst I am shooting and handholding. The lens is also short enough that you can choose to support it whilst handholding by holding it directly under the lens hood itself, or on the lens barrel. The manual focus ring is narrow enough that I can easily avoid shifting it accidentally with my supporting hand. I shoot using autofocus all the time. In comparison, I have to take extra care when shooting most of Canon’s other big super telephoto lenses in this way, to ensure that I don’t shift their oversized focus rings by accident (EF 400L f2.8 IS ii, EF 500L f4 IS ii and EF 600L f4 IS ii). Of course, autofocus overrides any accidental adjustments that may be made this way. The manual focus ring turns smoothly if you do like using it and there is no play. The combination of compact size, light weight and good controls mean that using this lens is an enjoyable experience. Because it is a fixed focal length lens there is also no zoom ring, which further simplifies the handling. It also makes handholding even easier, because the only thing that my left hand has to do is support the lens, and not have to rotate a zoom ring as well. It takes minimal effort and barely any time to pick it up, put the camera to the eye, and start tracking. 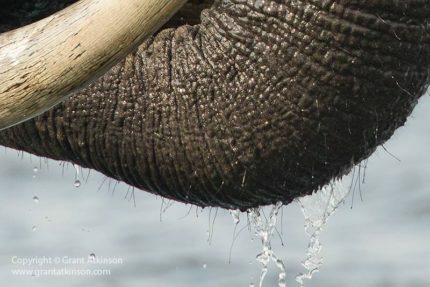 With the EF 400 f4 DO IS ii, it becomes possible to react quickly to unexpected photo opportunities, especially when handholding, that I might not manage with bigger lenses like my 500mm f4. 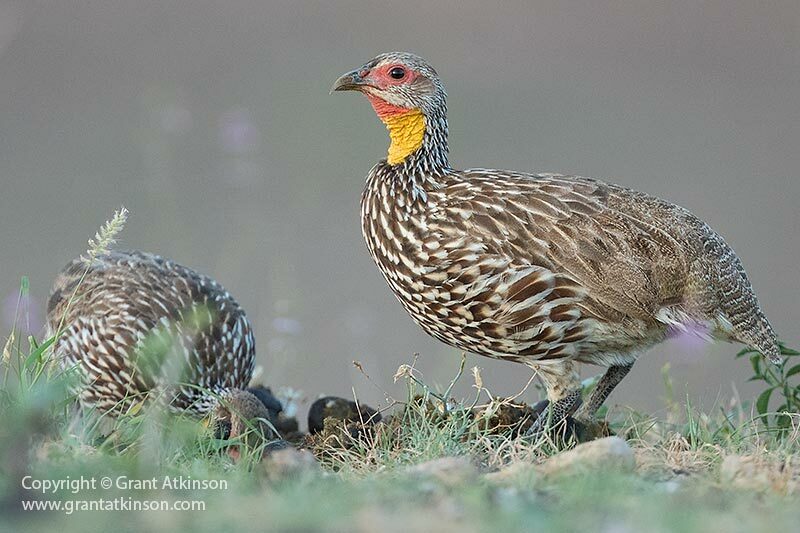 You could almost call it a wildlife lens rapid response factor, and this lens has it. If you are fortunate enough to photograph wildlife in places where there is an abundance of subject matter, you will appreciate it even more because it gives you a good chance at capturing the unexpected. An example might be the Black-bellied bustard that flew by the vehicle when I was sitting waiting for the lions to wake up. 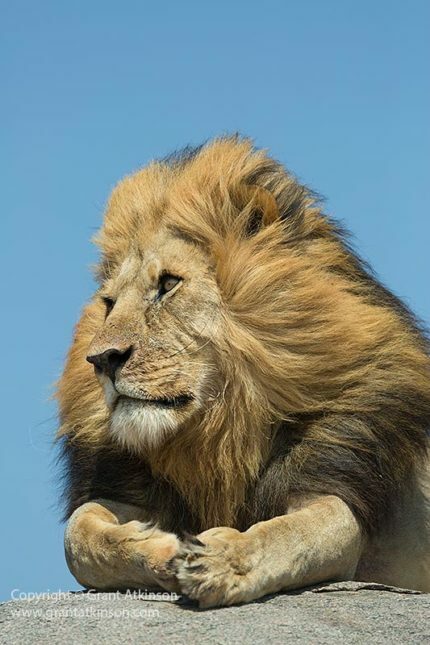 Of course, using a fixed lens can be limiting if one does not know exactly how close or how far away the subject may be, which is often the case with wildlife. On the other hand, I enjoy the simplicity that shooting with a fixed lens brings, in that my mind is less distracted with zooming in or out, and I can concentrate on keeping my subject in focus, and framing as best I can. It sometimes happens that the subject may approach too close, and in such instances the fixed lens forces me to just instinctively keep trying to frame the most important parts of the changing scene. 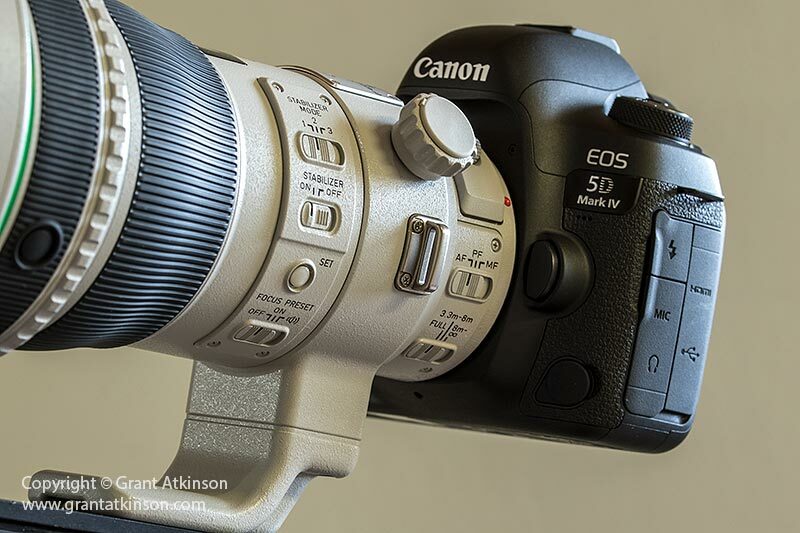 Canon EF 400 f4 DO IS ii and EF 1.4x iii Extender with EOS 1DX and with the lens plate resting on my hand. I attach a lens plate to the lens tripod foot, which makes the lens foot longer, and easier for me to grip. It makes a good place for me to hold and support the lens when handholding. I rest the bottom of the lens plate on the palm of my left hand. The lens plate also makes a good carrying handle for me to hold onto when I am walking with the lens. I usually rotate the collar till the foot is on top when I am carrying it for a long time. If I am using a bean bag for support, I rest the tripod foot/lens plate on the bean bag and not the the lens barrel. That prevents the focus ring from being shifted accidentally by contact with the bean bag. The EF 400 f4 DO IS ii works beautifully on any high quality support system like a gimbal. Like most fixed lenses, there is no significant change in weight distribution during focusing which can otherwise shift the balance point. WHAT DO I USE THE LENS FOR? I use the EF 400 f4 DO IS ii for photographing wildlife, and often it will be the longest focal length lens in my bag (sometimes with extender). Alongside it, I will use either an EF 100-400L f4.5-5.6 IS ii or an EF 70-200L f2.8 IS ii. I find 400mm to be a useful focal length for portraiture of bigger species, allowing me to compose tightly on those occasions when we get close to the larger animals. I use the EF 400 f4 DO IS ii as a low-light tool. 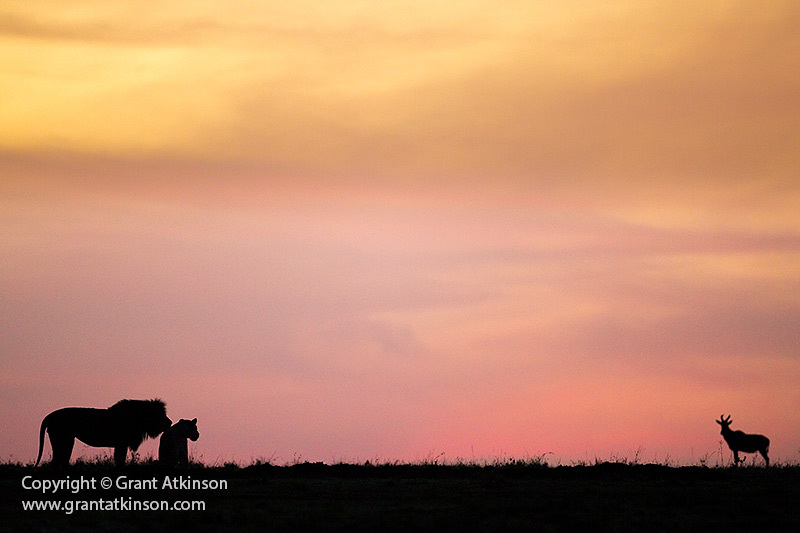 Many of the wild subjects that I enjoy photographing are most active when the ambient light levels are low. The f4.0 maximum aperture of the EF 400 f4 DO IS ii allows me to keep shooting even when light is low and this is especially true when I have it mounted on any of the newer Canon full-frame sensor bodies. The low light capability of the EF 400 f4 DO IS ii also benefits from the steady improvement of Canon’s camera sensors, in particular the last few years of full-frame models, when it comes to low-light sensitivity. Being able to use high iso sensitivities without too much loss of image quality means that f4 lenses can now do something of what could only be accomplished with f2.8 lenses, in the past. 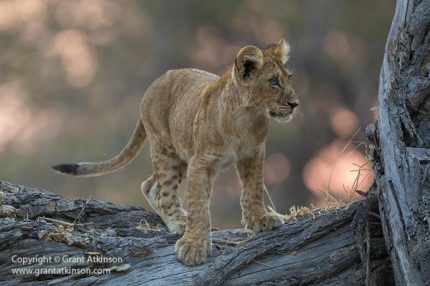 I make use of that f4.0 maximum aperture of the EF 400 f4 DO IS ii when my wildlife subjects are posing with busy backgrounds behind them. When I am close enough to the subject, shooting at f4 blurs the background most effectively, if not to the same degree as an f2.8 aperture would allow at the same focal length. Even bright backgrounds can be made less distracting by being blurred out, as happens when you can get close to a subject and work at the wide-open aperture setting. 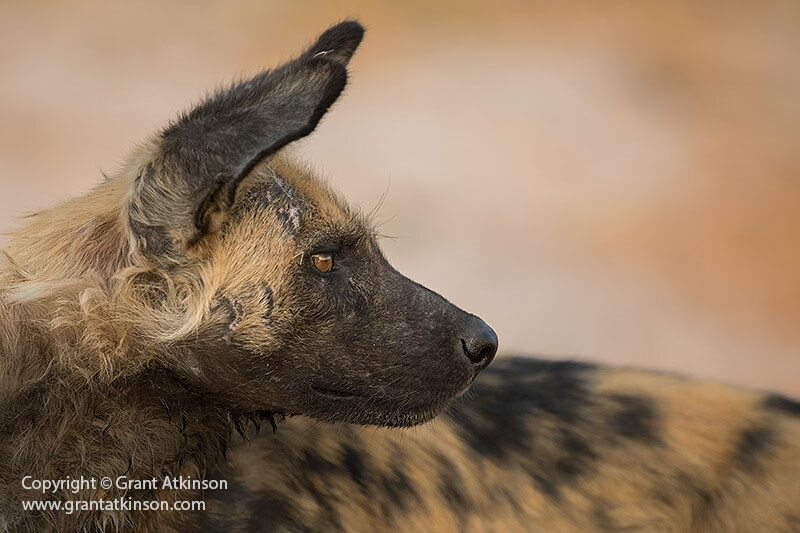 Of course when you are working at such close distances and at f4.0, you need to be precise with placement of your focus point in this instance on the wild dogs eye. I also use the EF 400 DO IS ii when I am photographing fast action, and if I can, I will choose it over a zoom in such instances. I feel that a fixed lens gives me an advantage in terms of autofocus speed and accuracy, even if it is only a slight advantage when compared to the best Canon L-series zoom lenses that have been released most recently. 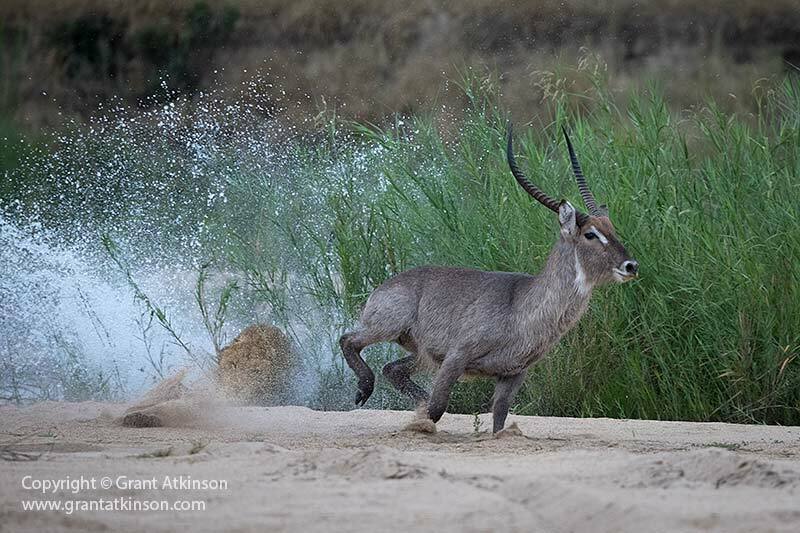 When a lioness burst through the Sand River in pursuit of a male waterbuck, the EF 400 f4 DO IS ii allowed me to stay focused on the fast-paced action and come away with a number of well-focused frames. I find 400mm to be only just enough focal length for high-quality bird photography, depending on how big the birds are. 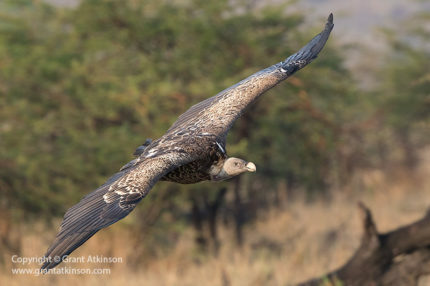 So the EF 400 f4 DO IS ii works well enough for bigger birds, like eagles, vultures or other birds of prey, especially if I am looking to photograph them in the air, when they might be larger in the frame due to their wings being spread. 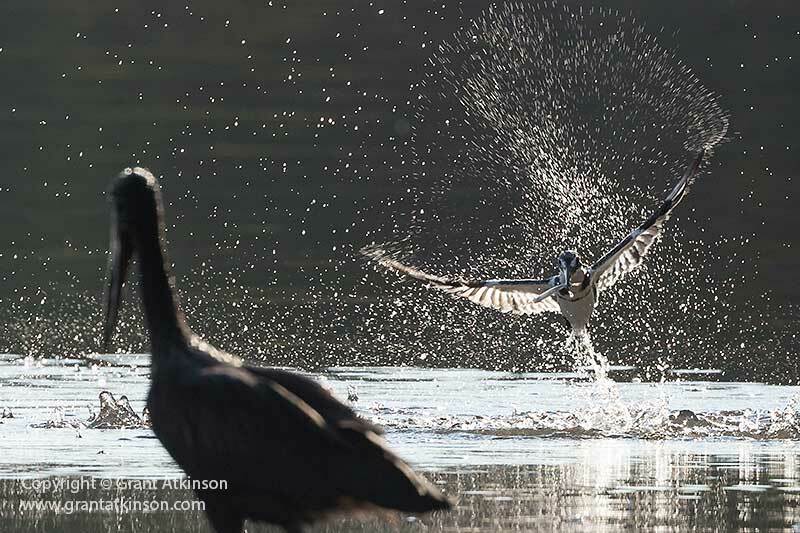 I also find that 400mm of focal length can be just enough if the birds I am photographing are quite approachable, even if they are only medium in size, like skimmers, gulls, ibis, egrets for example. 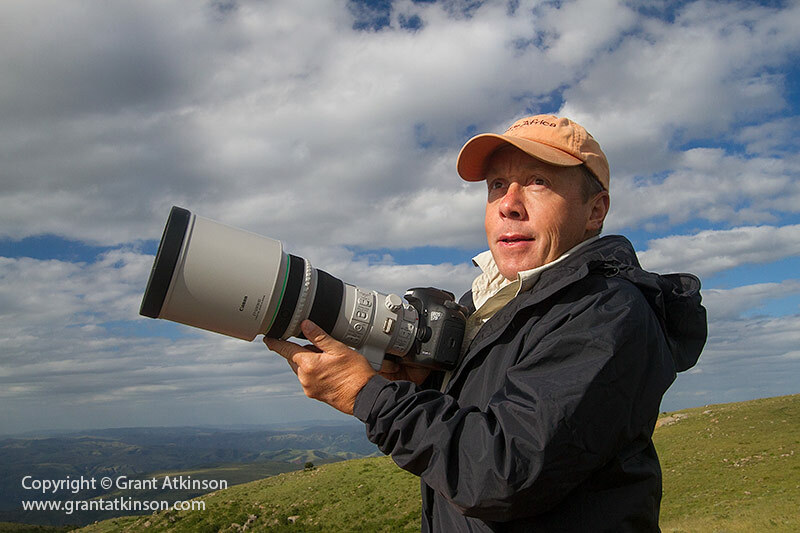 I also choose my EF 400 f4 DO IS ii over any of my Canon zoom lenses that go to 400mm like the EF 100-400 L f4.5-5.6 IS ii when I know that my subjects are a little too far away or too small, and I know that I am going to have to crop the image deeply anyway. 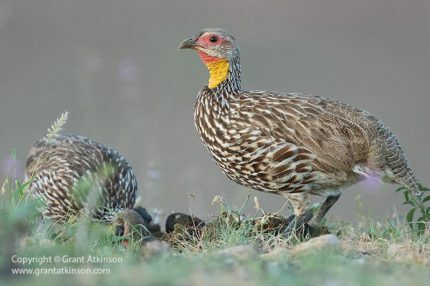 Cropping happeens a lot with smaller birds. With deep cropping, I want the most amount of detail out of my original 400mm capture and the EF 400 f4 DO IS ii images hold up well, even better than the L-series zooms. 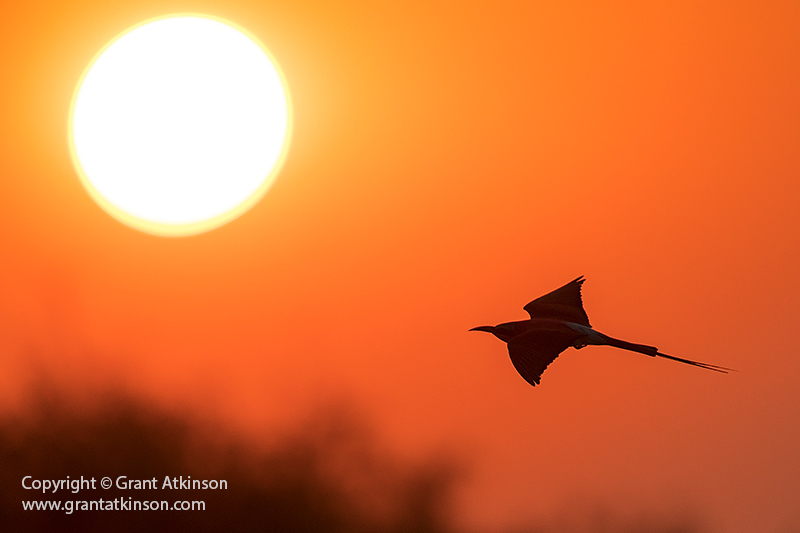 Above is the image captured with the EF 400 f4 DO IS ii and un-cropped. 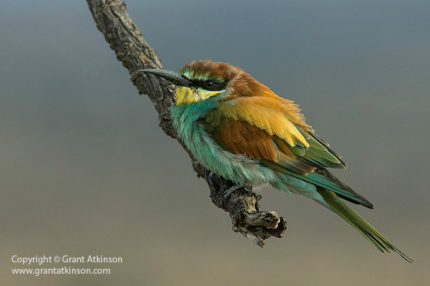 I typically struggle to get any closer than this to this particular species of bee-eater, and moving closer would cause the bird to fly off. A deep crop (4mp from original 18mp) was my best option at the time, and it is good to know that the EF 400 f4 DO IS ii captures good detail even when the subject is small in the frame. When 400mm of focal length is not enough, I find that attaching the EF 1.4x iii extender to my EF 400 f4 DO IS ii is a viable option. Having 560mm of focal length makes a big difference to bird photography opportunities. Working with 560mm of focal length also allows me to stay further away from shy subjects, and still have them big enough in the frame. The benefit of this is that I don’t disturb them or change their behaviour by having to move too close. The image above illustrates the effectiveness of working from a greater distance with shy subjects like these topi antelope, and allowing them to continue undisturbed. With the EF 1.4x iii extender in place, background blurring power of the lens remains good. Sharpness remains good enough for most requirements with the 1.4x extender in place. African lion, Serengeti, Tanzania. 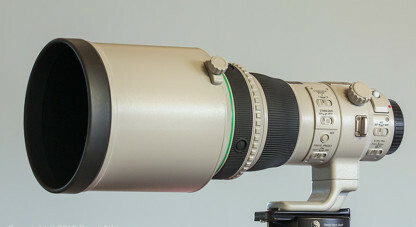 Canon EF 400 f4 DO IS ii with 1.4x (iii) EF extender (560mm) and EOS 5D Mark 3. Shutter speed 1/1000sec at f8.0, iso 320. The minimum aperture of the EF 400 f4 DO IS ii on a Canon 5Dmk4 is f32. This can be useful when I am trying to get very slow shutter speeds, in bright conditions, such as when shooting motion blur images. If you wish to completely minimize dust getting into your camera gear, then it can make sense to consider a fixed lense such as the EF 400 f4 DO IS ii. With its build quality and weather-sealing identical to the other L-series fixed telephotos, having no zooming action has to mean less likelihood of dust getting sucked inside. Similarly, if you work in very moist environments, perhaps from boats or in coastal places where dampness is bad for lenses, a fixed lens is likely to stay free of moisture for longer. The IS system is extremely effective on this lens. Most of the shooting that I do with the EF 400 f4 DO IS ii takes place handholding, and I keep IS on all the time. The IS system is quieter, much, and faster and more effective than in the original EF 400 DO IS. Start-up time is just 0.5sec, and the only sound it makes is a very soft whirring, so quiet that I have to concentrate to hear it at times. With four stops of assistance, I am getting sharp shots at very low shutter speeds of static subjects. 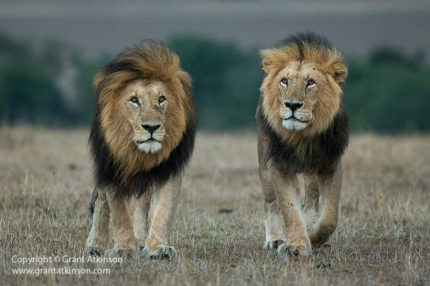 Male and female lion and topi, Kenya. Canon EF 400 f4 DO IS ii and 5Dmk3. Shutter speed 1/50sec at f4.0, iso 1000. Handheld. Click for larger view. I find the new generation IS systems, as found in Canon’s lenses since 2011, to be invaluable in helping me get sharp shots. I often like to shoot when light is low and the image stabilization system as found on the EF 400 f4 DO IS ii is an enabling feature for me. The IS is rated to be effective for at least 4 stops and it is a big improvement on the IS system found in first version of this lens. The new IS system starts up faster, and is much quieter than before. Mode 1 detects and counters movement in two planes, horizontal and vertical. I use this mode a lot of the time. Mode 2 is developed for panning. In this mode, the IS system detects and counters movement in one plane only, which is ideal for panning, whether from a tripod or not. In recent times I have found myself slightly confused by Canon literature in different places on the internet and in manuals, with regard to differing descriptions of the function of the three IS modes. This has not affected how I use IS for my own handheld shooting as I mostly use Mode 1 and Mode 3 and I am very happy with the results. With the EF 400 f4 DO IS ii making such a great handholding lens, IS becomes extra important. The IS system in the EF 400 f4 DO IS ii is tripod-sensing, which means that when it is mounted on a tripod, it will automatically de-activate stabilization. On the older generation of IS lenses you had to remember to turn off IS yourself, if you did not want it active at the time. When it comes to image stabilization, my opinion is formed from my experience shooting mostly with Canon L-series lenses and Canon dslr bodies. Image stabilization is an invaluable feature for me. Much of my shooting is done handheld, and often in a bit of a hurry, and Canon IS helps me get more sharp shots. New generation stabilization units like that found in the new EF 400 f4 DO IS ii take effectiveness to a new level. I keep IS on all the time when handholding, and I use the modes as outlined above. Whilst there are some folk who insist that IS can have a negative affect on image quality and autofocus performance, I am not one of them. 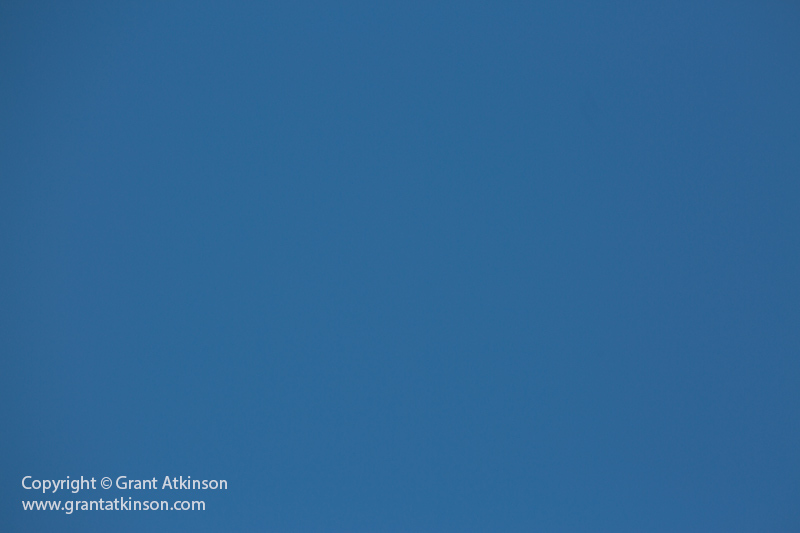 Even in bright light, when I may be shooting with shutter speeds that are faster than 1/2500sec, I keep it engaged. I firmly believe that the modern, sophisticated IS systems help smooth out what I see in the viewfinder, correct my own handholding shake, and also help with dampening camera vibration. 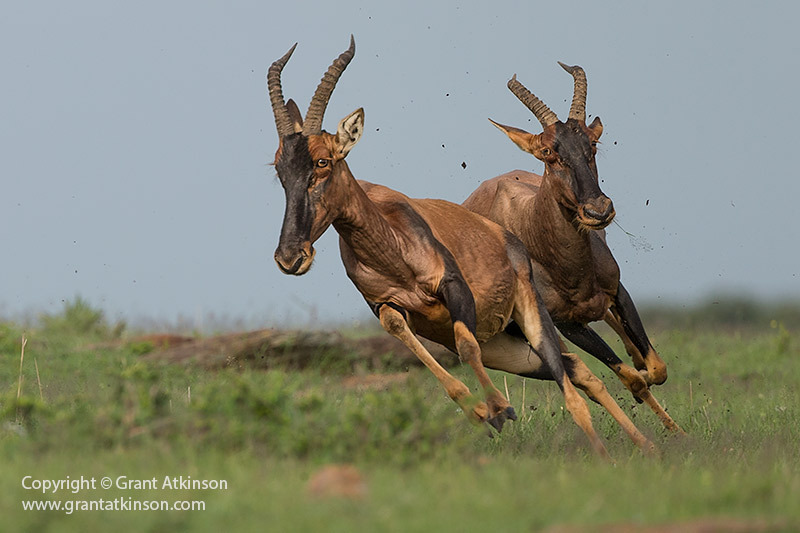 Autofocus is a very important aspect of lens performance for me, particularly as I like photographing wildlife subjects and sometimes they may be fast-moving. I use autofocus all the time and I need it to be accurate and fast. I don’t have much use personally for manual focus although I realize that it has its uses for some photographers. These days, most modern lenses are capable of focusing quickly on stationery subjects, and in good light. But, only the best lenses continue to focus quickly and accurate when conditions for autofocus become much harder. Examples for me of such difficult conditions would be those times before sunrise and also after sunset. In this regard the EF 400 f4 DO IS ii is just as good as my EF 500L f4 IS ii. They can both find focus a little quicker and more reliably than my EF 100-400L IS ii zoom lens when there is hardly any light at all to work with. 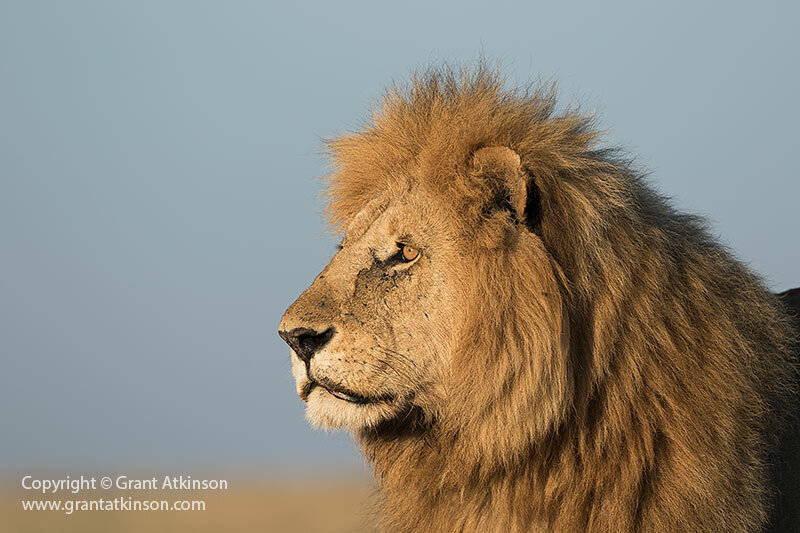 This low light capability is shown in the lion image above, where I was able to shoot before the sun had even risen. 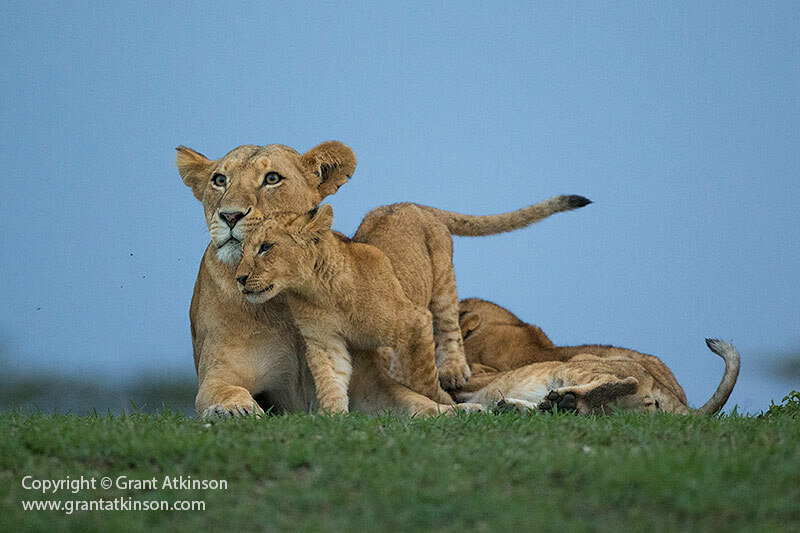 Ambient light levels where extremely low, as can be seen by the very slow shutter speed and high iso setting, but the EF 400 f4 DO IS ii still allowed me to focus on the incoming lions. Another thing that has a negative effect on my ability to come away with properly-focused images is speed (of my subject matter). As the speed of movement of my subjects becomes faster and faster, so my keeper rate of sharp images becomes lower. 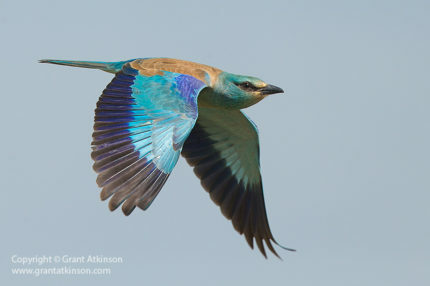 Birds in flight, or mammals that are running at high speed are examples that I encounter sometimes of this kind of subject matter. 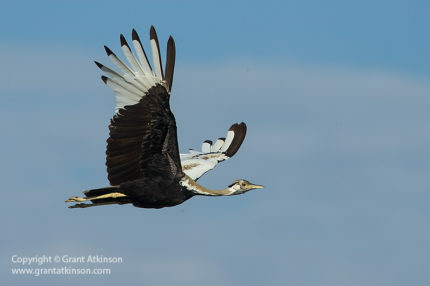 I have found that fixed focal length Canon telephoto lenses offer the best chance of getting these kind of shots sharp. 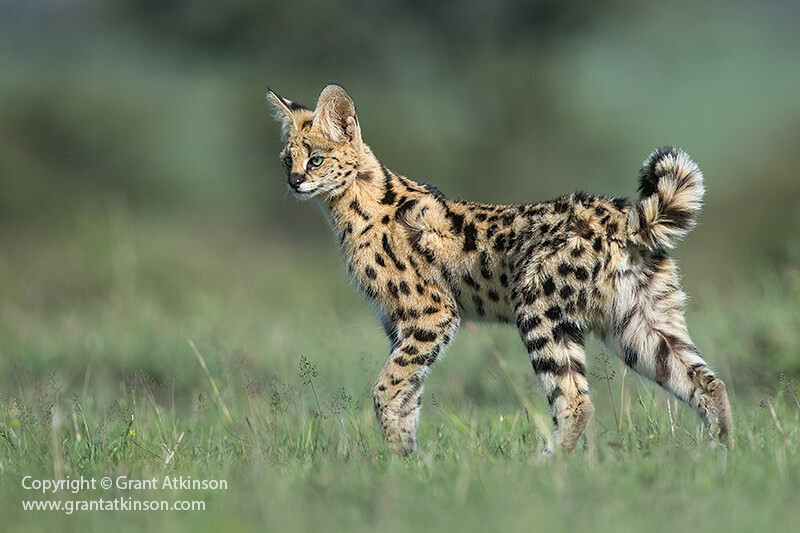 I regard the EF 400 f4 DO IS ii as one of the best lenses for pursuing these kind of images. 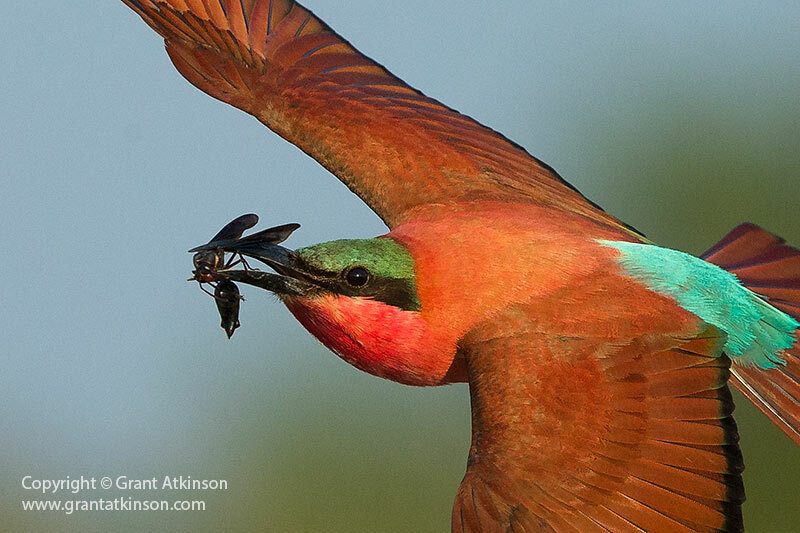 I used the EF 400 f4 DO IS ii to capture the carmine bee-eater in the frame above. It was one frame of three in a sequence that where all well-focused. The un-cropped image is shown above. The carmines are not very big birds, so I always try to fill enough of the frame that I don’t end up with a tiny crop of a bird. What this means is that I ended up shooting at a fairly close distance, which is good for revealing fine details in the bird, and also for blurring the background. The disadvantage is that the relative speed becomes greater at close range and it starts getting harder for me to keep my focus point on the bird. This is where the light weight of the EF 400 f4 DO IS ii really helps in that it enabled me to keep on swinging the lens smoothly enough for the autofocus to keep the bird sharp. 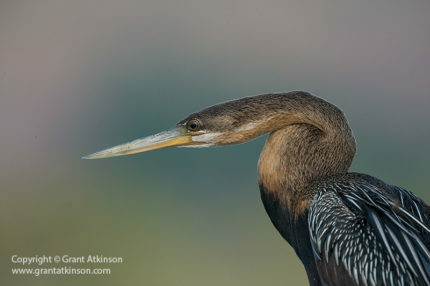 I have included a 100 percent crop of the 18mp file above, to show the detail captured by the lens. 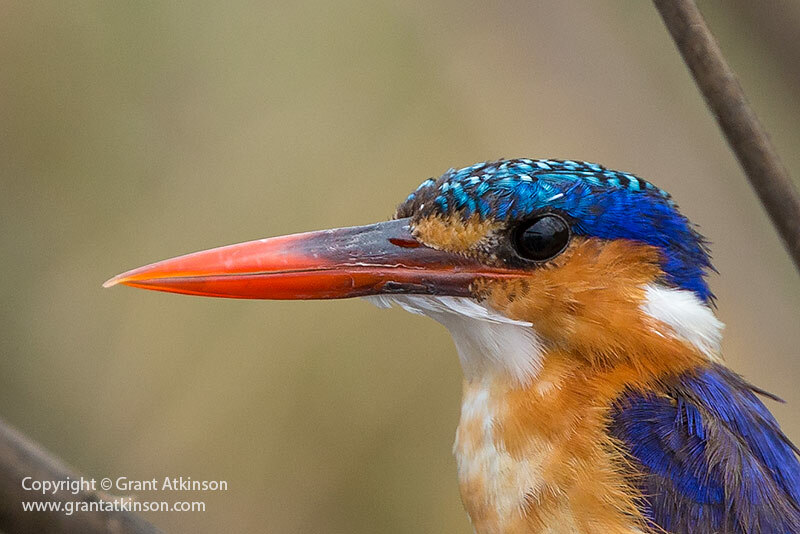 It’s not to say that I don’t come away with these kind of images with the newer generation of Canon zoom lenses like the EF 100-400 f4.5-5.6 L IS ii but my autofocus hit rate is higher with fixed focal length telephotos. So I believe that autofocus works superbly in the EF 400 DO f4 IS ii and on par with my EF 500L f4 IS ii. I haven’t enough experience shooting the Canon EF 300 L f2.8 IS ii alongside the EF 400 f4 DO IS ii to have a valid opinion on whether the 300 mm lens holds a real autofocus advantage. I do believe that if you put a 1.4x EF iii extender onto the EF 300L f2.8 IS ii, that the bare EF 400 f4 DO IS ii will outperform it in autofocus speed and accuracy. Autofocus is not only fast on this lens but also exceptionally quiet. 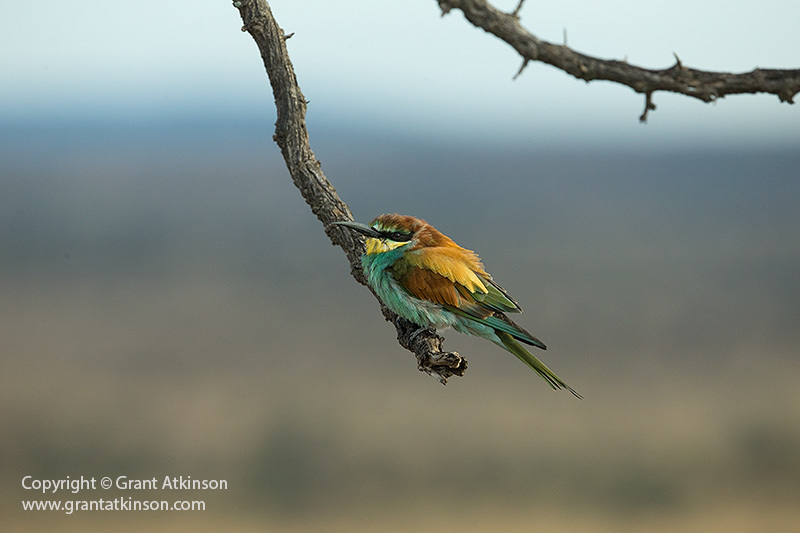 White-fronted bee-eater, Botswana. Canon EF 400 f4 DO IS ii and 5D Mark 4. Shutter speed 1/3200sec at f7.1, iso 1250. There is a focus distance limiter switch, with three settings. Using this limiter can speed up autofocus even more, but only if you are certain your subject won’t move within or beyond the range you have limited the lens at. Settings are 3.3m to 8m, 8m to infinity, and Full (which equals 3.3m to infinity). I keep my own lens on the Full setting always, because I photograph a wide range of subject matter, and often get closer than 8m. Using the Full setting means that I can avoid having my lens stop focusing because I have limited it to 8m minimum focus distance and my subject has come closer than that. I find the focusing speed of the EF 400 f4 DO IS ii to be fast enough, even on the Full setting that I am happy to leave it there. Of course if you regularly shoot at longer minimum distances then it makes sense to use the distance limiting switch options for the very fastest autofocus performance. The 3.3 metre minimum focusing distance means that this lens is not the best tool around for photographing smaller subjects at close working distances. For dragonflies, butterflies, and very small birds, focusing at only 3.3m with 400mm of magnification means that the subjects will be too small in the frame. It is well-bested in this aspect of performance by the EF 300L f2.8 IS ii and even more so by the EF 100-400l f4.5-5.6 IS ii. Both of those lenses can focus much closer to the their subject matter. Of course, adding an EF extender to the EF 400 DO f4 IS ii helps boost the magnifying capability somewhat. I used the EF 400 f4 DO IS ii on 7 different Canon dslr’s, with different sensor sizes, different resolution and also on the mirrorless EOS M5. Mounted on the Canon 80D with it’s APS-C sized sensor (22mm wide), the field of view is roughly equivalent to 640mm (but that doesn’t mean that the EF 400 can suddenly be compared to a true 600mm focal length lens just because it is mounted on a camera with a smaller sensor). This combination is very light to manage or carry, and gives lots of resolution for birds or small subjects and worked well even in moderate light levels. 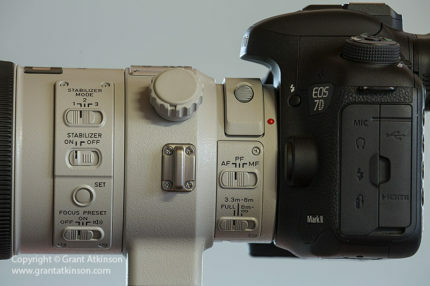 Mounted on the Canon 7D Mark 2, also with an APS-C -sized sensor (22mm wide), the field of view is roughly equivalent to 640mm but of course not the true focal length. 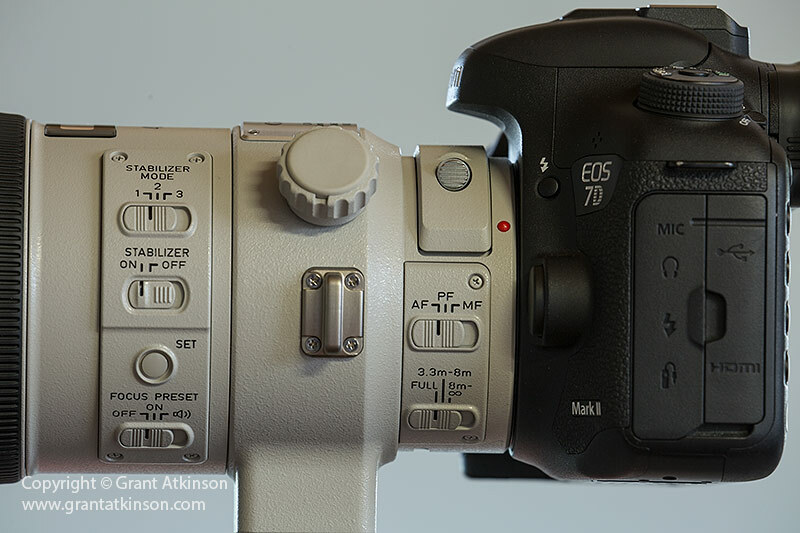 This combination is still lightweight, especially so if the 7D Mark 2 is used without a battery grip attached. This pairing worked well in moderate or good light, with very good autofocus performance, better than the 80D. It was close to the 80D in fine resolution. The maximum aperture of f4.0 made it possible for me to shoot for a short while after sunset, before iso settings had to go up too high and image quality began to suffer. On the Canon 6D Mark 2 with its full frame (35mm wide) sensor and compact body, this combination was lightweight, and very effective in low light. The EF 400 f4 DO IS ii was also light enough when paired with the 6D Mark 2 that the camera could be used in Live View with the screen flipped out, to obtain unusual perspectives. Image quality from this combination was very good, even in low light situations. On the Canon 5D Mark 3 with its full frame (35mm wide) sensor and medium-sized body, the combination felt well balanced. This was a good combination for photographing moving subject matter and autofocus worked very well. On the Canon 5D Mark 4 with its full frame (35mm wide) sensor and medium-sized body, the combination was well balanced, and very effective in low light due to the excellent sensor in this camera. Autofocus was a strong point as was image quality. 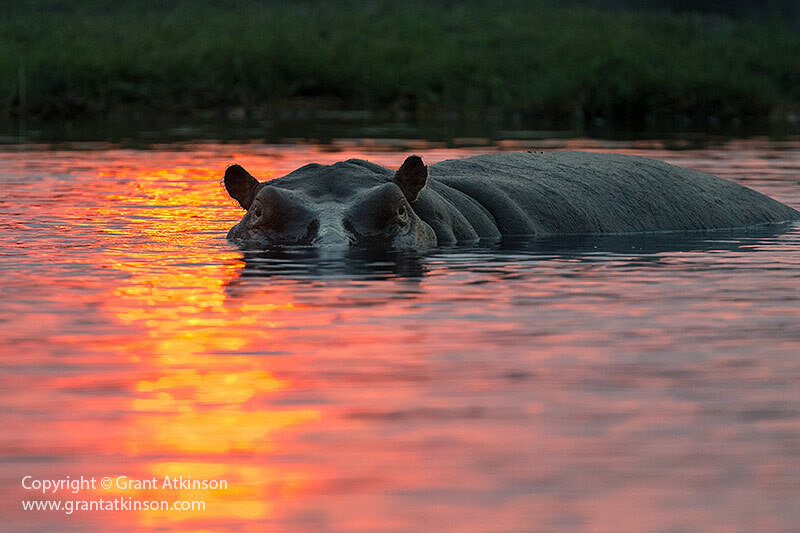 On the Canon 1DX with its full frame (35mm wide) sensor and large-sized body, the combination was comfortable and responsive in use. This was an excellent combination for photographing moving subjects, autofocus was exceptional and image quality very good even in low light. On the Canon 1DX Mark 2 with its full frame (35mm wide) sensor and large-sized body the combination was comfortable and responsive to use. 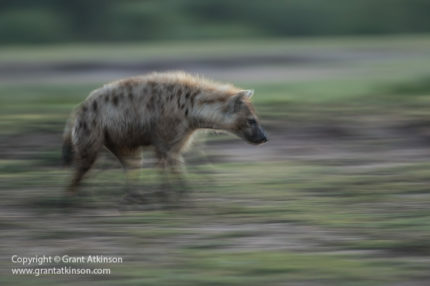 This was the very best combination for photographing moving subjects, autofocus was exceptional and image quality the best even in low light. Both the 1DX and the 1DX Mark 2 are superior in autofocus for moving subjects, if the EF 400 f4 DO IS ii was fitted with an EF 1.4x iii Extender, in comparison to any of the 5D series, or the 7D Mark 2, 80D or 6D Mark 2. The difference was even more pronounced if the lens was fitted with the EF 2.0 X iii Extender. All the camera bodies focused well with either EF Extender and the EF 400 f4 DO IS ii for static or slow-moving subjects but not as well for fast ones. I always shoot in RAW and process my images in Adobe Camera Raw CC, which is virtually identical to Lightroom’s Classic CC, and Adobe Photoshop CC. My evaluation of the lens performance with regard to image quality is based upon that workflow. The EF 400 f4 DO IS ii delivers image quality that is very, very good. Images are sharp and detailed, colours and contrast are excellent. I find it to be second only to the latest versions of Canon’s four super telephotos, and even then, it is a close second (EF 300L f2.8 IS ii, EF 400L f2.8 IS ii, EF 500L f4 IS ii and EF 500L f4 IS ii). The EF 400DO is not an alternative lens in Canon’s lineup – in other words there is no other fixed 400 telephoto lens with an f4 maximum aperture. So it stands in the place of an L-series lens, and therefor has to be good, and it is. Sharpness is excellent at wide-open apertures, and I frequently shoot mine at f4 aperture settings, due to low ambient light levels or my own desire to blur a distracting background. I don’t make use of any filters on the front of this lens nor in the drop-in filter holder. The EF 400 f4 DO IS ii shows some vignetting but not an excessive amount. It is most pronounced at the wide open aperture setting of f4.0. I photographed a blue sky on a clear day, using a full-frame Canon 5D Mark 3 to illustrate the vignetting. Canon EF 400 f4 DO IS ii and 5Dmk3. Shutter speed 1/2000sec at f4.0. Click for larger view. Canon EF 400 f4 DO IS ii and 5Dmk3. Shutter speed 1/1000sec at f5.6. Click for larger view. Adjusting the aperture to f5.6 clears most of the darkening from the edges of the frame. Canon EF 400 f4 DO IS ii and 5Dmk3. Shutter speed 1/400sec at f8.0. Click for larger view. Setting the aperture to f8.0 eliminates the vignetting (corner shading) entirely from the full frame image. The vignetting is not something that I really notice in my images taken with the EF 400 f4 DO IS ii. For those who are bothered by it, it is also very simple to get rid of the mild vignetting using Adobe Lightroom (Lens Corrections tab), or Adobe Camera Raw, Photoshop or Canon DPP. If you like shooting jpg images, many Canon dslr bodies deal with vignetting, via the Peripheral Illumination Correction feature, in camera. When used on a camera with an APS-C (crop sensor) like the 7Dmk2, the vignetting is even less perceptible even at the wide open aperture setting. This is because the outer edges of the image circle, where the vignetting is most pronounced, are not captured on the smaller sensor. In my own use of the lens, vignetting is not something that I need to take into account for the kind of images that I like to make, as I don’t consider it even noticeable or requiring correction in processing. Bokeh is very good. With it’s maximum aperture of f4, this lens can blur backgrounds very effectively, even from a distance. The ‘shape’ of the bokeh was more pleasing than the older EF 400 f4 DO IS ii. Obviously the EF 400 f4 DO IS ii is not as good as the fixed telephoto EF 400 f2.8L IS ii for background blurring capability but it is better at blurring backgrounds than the EF 100-400L f4.5-5.6 IS ii zoom lens. Often I am looking to make the background as blurred as possible and the EF 400DO is quite good at doing this. This background blurring capability remains good when a 1.4x extender or 2x extender is used. I found the EF 400DO f4 IS ii to be very resistant to chromatic aberrations. I would rate it as the best Canon lens that I have used in this regard. I encounter conditions that can cause chromatic aberrations most often when photographing subjects near water. The kingfisher image above is an example of such a scene that I would fully expected to see chromatic aberrations show up. Typically they would show as purple or blue fringes to the high-contrast edges of the extremely brightly-lit water droplets that are splashed into the air. The image above is cropped from a 5184 pixel wide original capture to just 1684 pixels wide, in order to magnify the image. Even with that deep crop, there is no evidence of chromatic aberration. It would seem that this improvement is due to the diffractive optics technology. Flare happens when stray light gets reflected off of surfaces inside the lens and either shows up in the image as small, circular, bright patches or even sometimes as large areas of low contrast. It happens when shooting toward the sun. The EF 400DO f4 IS ii did not appear to be very susceptible to flare. In this, it is about as good as the other conventional Canon version two L-series super telephoto lenses with good resistance to flare when shooting against the sun. This newer EF 400 DO f4 IS ii is a lot better than its predecessor, the original EF 400 DO f4 IS, at not showing flare or a loss of contrast. The new lens is also less prone for focus to hunt when shooting into the sun. Recent Canon L-lenses have made it very much easier for me to photograph subjects that are positioned with the sun behind them, either in the frame or not. With such good image quality from the bare lens, and fast autofocus, the EF 400 DO f4 IS ii takes Canon extenders very well. 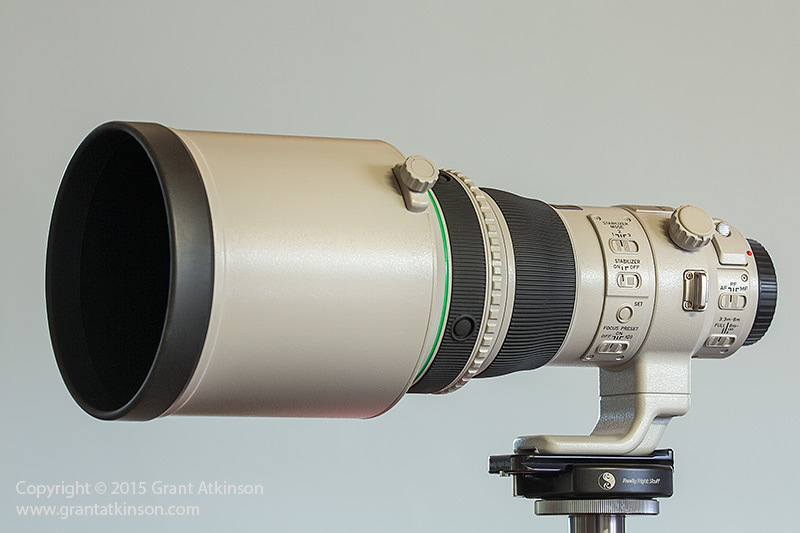 I use my own version of the lens often with theEF 1.4x iii Extender attached in normal use. I also tested the lens in the field with the EF 2.0 x iii Extender attached though I don’t work regularly with that combination. Attaching an EF 1.4x iii Extender to the EF 400 f4 DO IS ii reduces the maximum aperture to f5.6 but increases focal length to 560mm. 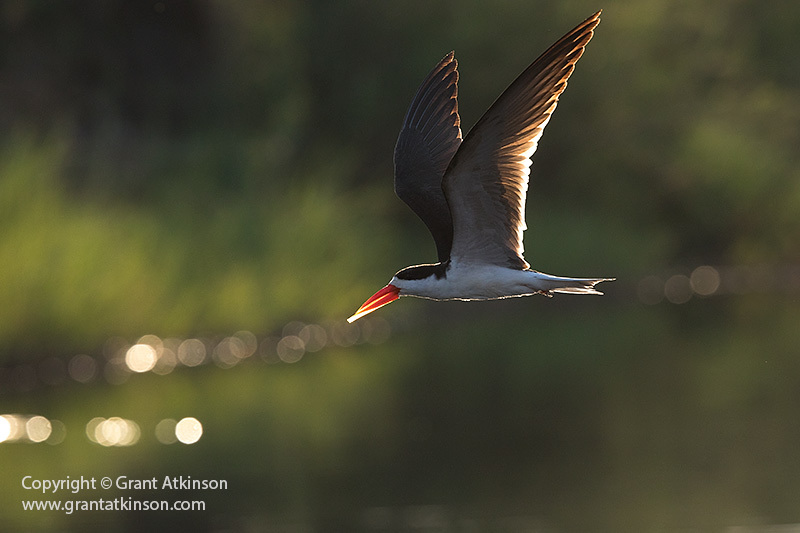 Autofocus remains accurate and reasonably fast, especially in direct sunlight and for slow-moving subject matter. Even with the 1.4x extender fitted, the lens remains compact and balance in the hand remains good. I frequently use my lens in this configuration for handheld shooting. 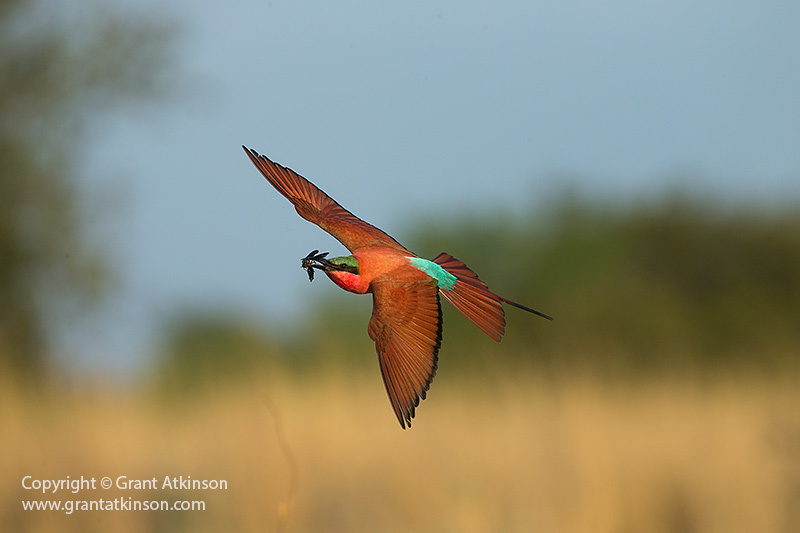 In my own use, I have found that if I wish to maximize my chances of capturing fast-moving subjects like birds in flight or mammals running, whilst using the EF 400 f4 DO IS ii and EF 1.4xiii Extender, when I use a 1DX or 1DX Mark 2 body. The 1DX series cameras just seem to drive focus a little faster and more positively than the smaller Canon bodies do when extenders are in use. With the 1.4x iii extender in place there is an inevitable quality loss, which mostly comes about in the form of lowered detail in textured areas. Contrast and colour still remain pretty good. Fine edges with high contrast can look a little softer. In good light, image quality is affected less. Stopping down to f6.3, f7.1 or even f8.0 improved sharpness and details a bit more. 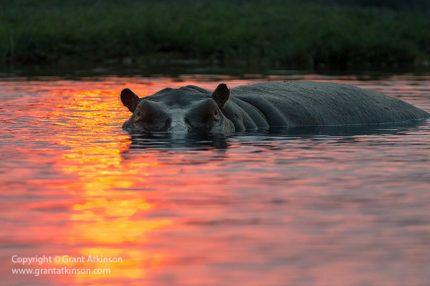 The EF 400 f4 DO IS ii with the EF 1.4x ii extender attached still focuses well even in lower ambient light conditions like this hippopotamus image was taken in. Attaching an EF 2.0x iii Extender to the EF 400 f4 DO IS ii reduces the maximum aperture to f8.0 but increases focal length to 800mm. 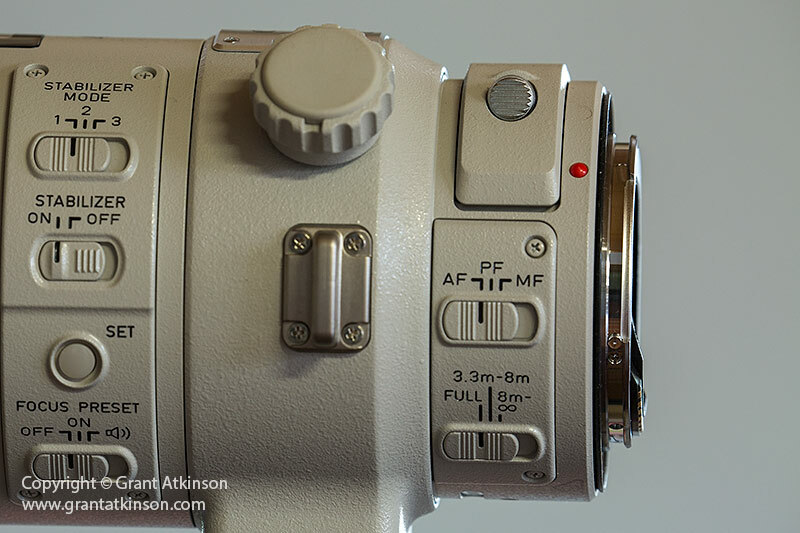 On all but the newest Canon bodies, autofocus is limited to the centre focus point. This holds for the 1DX, 1D Mark 4, 1D Mark 3, 7D Mark 2, 5D Mark 3. 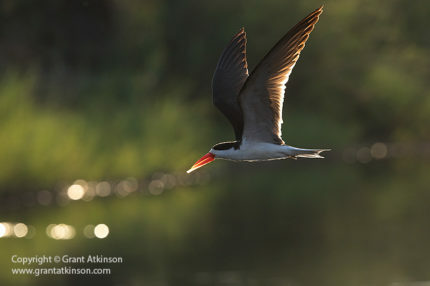 Newer Canon dslr bodies like the 1DX Mark 2, 5D Mark 4, 6D Mark 2 and the 80D all retain more focus points than just one and their focus points can be moved around the frame, aiding composition. Autofocus remains quite accurate and moderately fast. I got my best results in direct sunlight and with slow-moving subject matter. 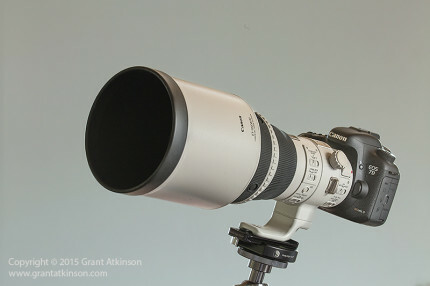 Although the EF 2.0 x iii Extender makes the lens and combination quite long, it is still a compact way to reach 800mm of focal length. A good number of wildlife photographers that I know use their EF 400 f4 DO IS ii with the 2.0 x extender in this way, and get excellent results. Obviously, 800mm of focal length rewards good technique and shooting from a mount or beanbag support will help with sharpness. 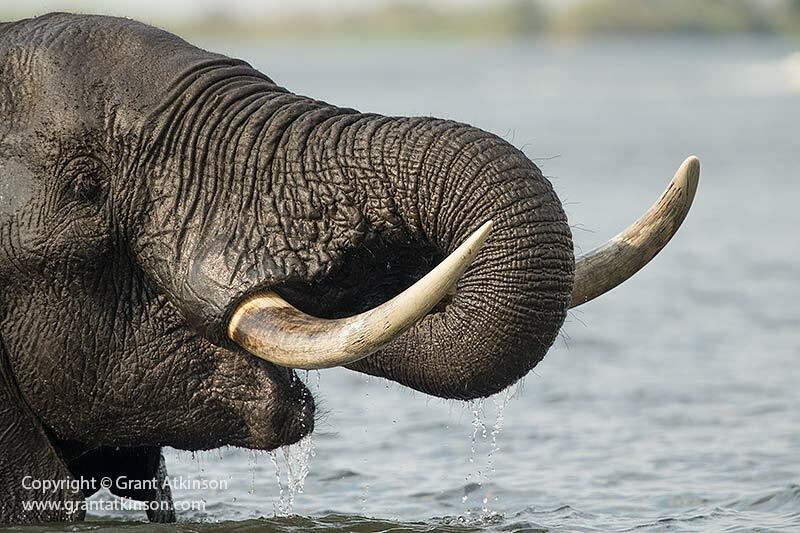 The elephant image above was captured using the 2.0x iii extender and as can be seen, fine detail remains reasonably good though not as good as with the EF 1.4x iii extender. Chromatic aberrations can also become noticeable. Using the EF 400 f4 DO IS ii with the EF 2.0 x iii Extender is a viable 800mm option for those photographers who are constantly in need of more focal length. Fine details are still captured reasonably well, and colour and contrast remain good. 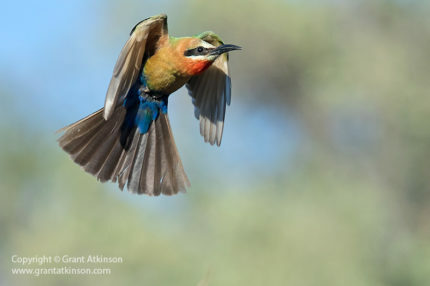 As the maximum aperture is a ‘light-hungry’ f8.0, full-frame sensors are likely the best choice for this configuration, with their superior high-iso capability. Within the Canon L – series range there are a number of options to consider, some of them fixed lenses and some of them telephoto zooms. 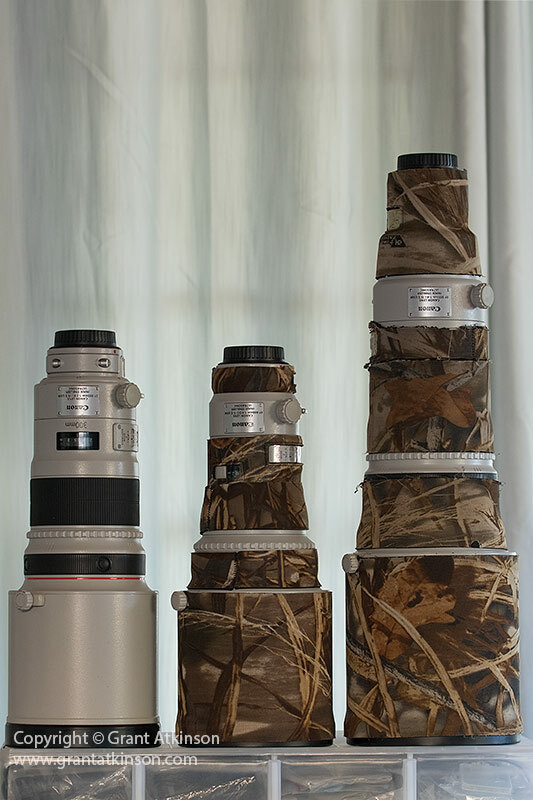 From left, Canon EF 300L f2.8 IS ii, Canon EF 400 f4 DO IS ii and Canon EF 500L f4 IS ii. The exceptionally good Canon EF 300L f2.8 IS ii is perhaps most similar in its form and capability, and it holds a one-stop light gathering advantage, as well as being very slightly sharper. It may also have incrementally faster and more accurate autofocus due to its f2.8 aperture. It is also heavier, and longer, with a larger diameter barrel though it shares the same front element and lens hood as the EF 400 DO f4 IS ii. Choosing between these two for me comes down to prioritizing native focal length. 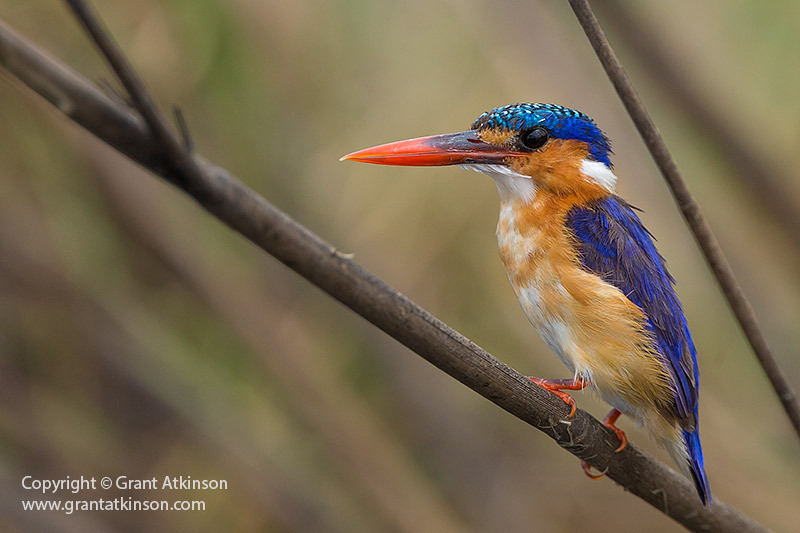 If 300mm is the right focal length for you, then choose the EF 300L f2.8 IS ii. If you need 400mm of focal length all the time, then my experience is that the EF 400 DO IS ii focuses better, faster and is sharper at 400mm than the EF 300L f2.8 IS ii is with a 1.4x Extender attached. I also preferred the autofocus and image quality performance of the EF 400 DO f4 IS ii with a 1.4x Extender iii attached (giving me a 560mm f5.6 combination) over the EF 300L f2.8 IS ii with an EF 2.0 iii Extender attached (600mm at f5.6). Choosing the EF 300L f2.8 IS ii over the EF 400 DO f4 IS ii does mean that it is possible to take advantage of f2.8 background blur and focusing speed when 300mm is enough focal length and no extenders are used. These two lenses are similar in price too, taking that factor out of the equation somewhat. Canon’s best 400mm lens is another option to consider, that being the Canon EF 400L f2.8 IS ii which outperforms the EF 400 DO f4 IS ii in most things to do with autofocus speed and accuracy. 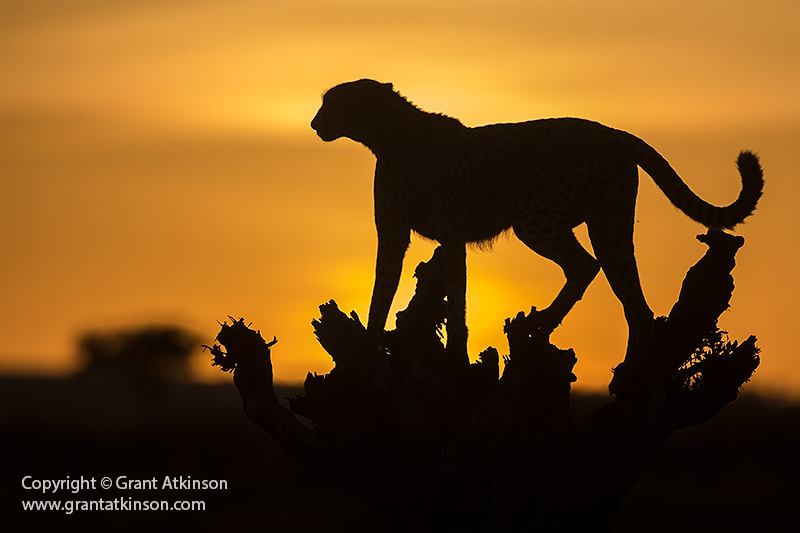 The EF 400L f2.8 IS ii is also a lens that produces even sharper images, and can blur the background more effectively. It can also focus closer. The costs of achieving such great performance come in the form of bulk and weight. The EF 4ooL f2.8 IS ii weighs almost twice as much at 3.85kg. It is much longer and wider, and much more difficult to manage if one is handholding or working in challenging spaces. The EF 400L f2.8 IS ii also costs approximately one and half times as much. 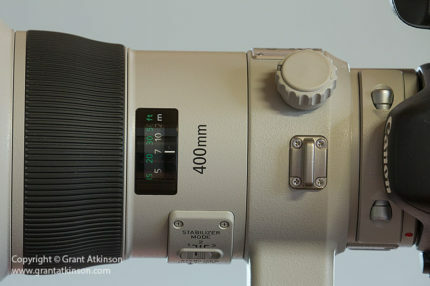 Another excellent Canon lens that is capable of shooting at 400mm and an f4.0 aperture is the EF 200-400L f4 IS 1.4x Ext. 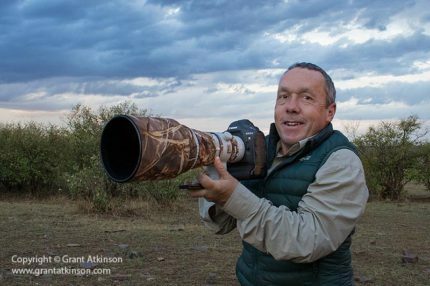 I consider this the very best Canon zoom lens for wildlife. At 400mm and f4 aperture settings, image quality is close enough to be called even. Low light operation and background blur capability are identical. I think that when it comes to autofocus speed and accuracy, the EF 400 DO f4 IS ii holds a slight advantage. I also slightly prefer image quality and AF speed and accuracy when the EF 400 DO f4 IS ii is used with a 1.4x extender attached, and compared to the EF 200-400L f4 IS 1.4x Ext with its extender in place. Of course, being able to drop the converter into place and remove it without taking the body off is a very big advantage to the zoom lens. The EF 200-400L f4 IS 1.4x Ext also holds a versatility advantage of being able to compose at focal length ranges from 400mm down to 200mm. 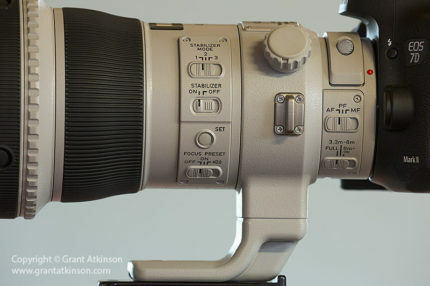 The EF 200-400L f4 IS 1.4x Ext can also focus much closer at 400mm than the fixed lens. The zoom lens has internal zooming, which makes it quite resistant to dust and moisture entry but the EF 400 DO f4 IS ii has the added advantage of having less moving parts inside, and is perhaps even less likely to get dust or moisture inside. Image stabilization systems are close to identical in these two lenses. The EF 400 DO f4 IS ii is much, much lighter and also more compact, so that in itself may be one of the biggest differences. It is much easier to handhold for most people. It also costs significantly less than the big zoom but is not as versatile in its focal length range. Since it arrived on the market a few years ago, the latest Canon EF 100-400L IS ii f4.5-5.6 is can certainly do many of the things that the EF 400 f4 DO IS ii can, at a fraction of the cost. 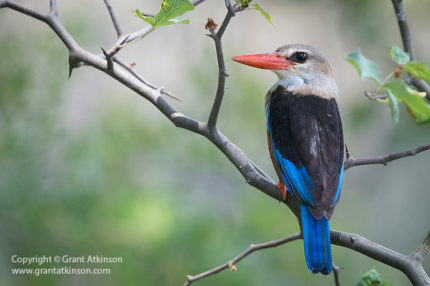 At 400mm and f5.6, it produces image quality very, very close to that of the fixed lens in detail, contrast and colour if not quite equalling it. The EF 400DO f4 IS ii is superior when it comes to controlling background blur, and it also superior in low light, both advantages of its f4.0 aperture. With extenders, the EF 400 DO f4 IS ii also works much better at 560mm and f5.6, paired with the EF 1.4x Extender, than the EF 100-400L IS ii does when it is combined with the same extender giving 560mm at a very slow maximum aperture of f8. 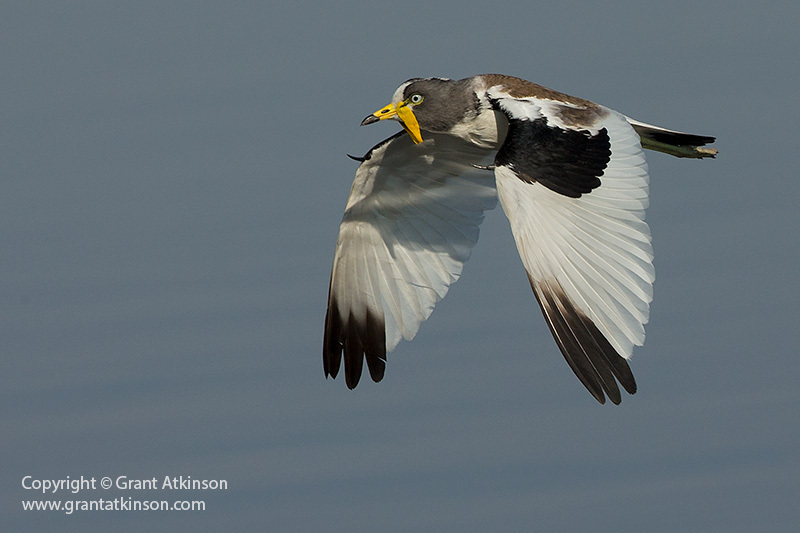 The zoom lens can focus much closer and costs much less. 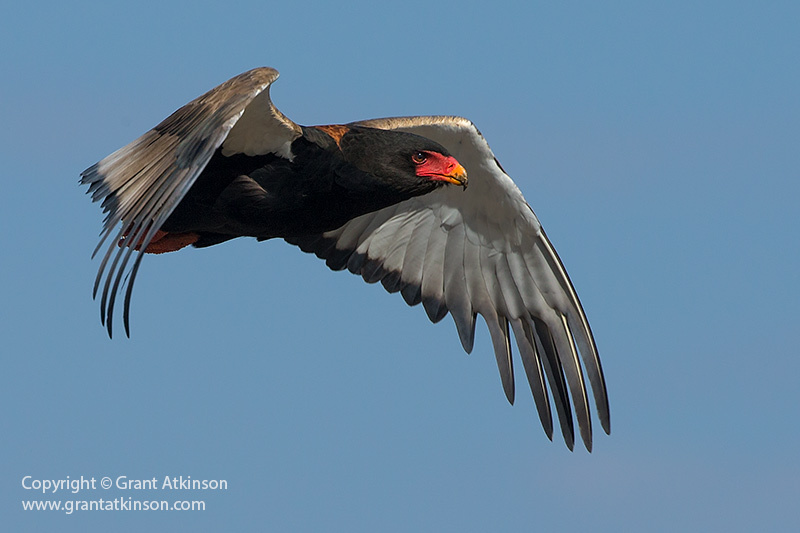 The EF 400L f5.6 is a fixed telephoto lens that offers yet another choice. Obviously it shares its focal length with the EF 400 DO f4 IS ii. When it comes to image quality I prefer the EF 400 f4 DO IS ii although both are pretty good. The EF 400 f4 DO IS ii can control background blur more effectively and is also superior in low light, both advantages of its f4.0 maximum aperture. In autofocus speed and accuracy, the EF 400 DO f4 IS ii has a slight advantage, being a much more modern design. The EF 400 f4 DO IS ii also has state of the art image stabilization, whereas the older lens has none at all. For handholding use, I always prefer a lens that has image stabilization. The EF 400L f5.6 is the lighter of the two lenses though. Cost of the EF 400L f5.6 is attractive though, at approximately USD 1350. The EF 400 f4 DO IS ii imparts a user experience of the highest quality, due to its compact form, light weight and fast autofocus. When you also consider the very effective image stabization, rapid and accurate autofocus and slick workings you realize why it quickly becomes one of those lenses that once you own, you always want to be shooting with. 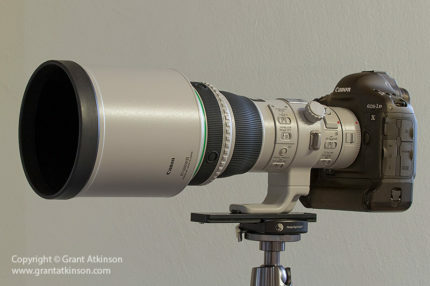 It provides a fixed-lens option that delivers very high image quality (bested only by a handful of Canon super telephoto lenses) with strong background blurring capability, fast autofocus, simplicity of operation and robust construction, with the possibility of using extenders to get increased focal length. And all of this, in a package that is uniquely smaller and lighter than many competing designs, and is all the more fun to use because of it. Your info on the 400mm do was the deciding factor upon my purchase , it should be in within the week which is my retirement date.It will be a great addition to my camera gear,as I spend lots of time in the field walking around. Thank you for your time and insight on this lens and info you have put out. Grant, this excellent review should be the top of everyones list when looking at online information as to lens choice for safari. You have done your usual excellent coverage of how the lens performs in real life situations and backed up by great images to illustrate the point. 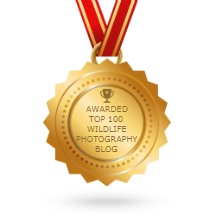 Anyone interested in wildlife photography would do well to read your reviews – top work !! Great review, so much so I purchased a copy here in the UK. Unfortunately I am having to return my copy because of very poor sharpness. Concerned about the issue I took side by side shots with my 100-400 ii and my DO ii, both with the Canon 1.4 iii converter fitted on an 80D. The DO is way off with the 100-400 ii being much sharper, although a slightly smaller image because it is not a true 400mm. I will persevere and hope that the replacement copy matches expectations and the findings of many reviews. This does highlight a concern about Canons quality control, especially as you had the same experience! Hi John, it should definitely be sharper than the EF 100-400 IS ii…glad that you took it back. I will hope to hear that the second lens is properly sharp. Our copy was the first one we bought, the two I used earlier where loan units from Canon, and the first one was not very sharp. I never managed to find out if it was misaligned or perhaps dropped or bumped by a previous user? The copy we bought brand new is super sharp!. Let me know how it works out for you.. The dealer has initially responded with asking me to bring in the lens and camera to get “Canon Service to confirm they are happy with the performance of the lens as part of the calibration adjustment/checking process.” Let’s hope I can get this resolved because a soft 400mm prime is no use to me. I’ll keep you posted because the lens should be perfect for my needs. I will keep my fingers crossed for a really sharp result..there should be no difficulty in seeing the results when it is properly sharp! I now have my second copy of the Canon 400mm do ii. 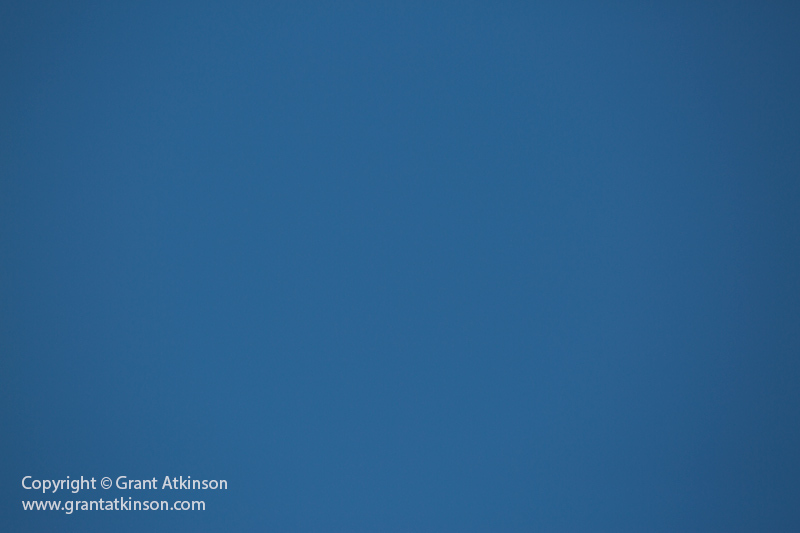 Image quality is a bit better than the 100-400 ii, but not massively so. Biggest benefit is it’s a true 400mm and is better in low light. Focus is quick and it takes the 1.4 converter well, although there is some softness to the images, particularly distant birds in flight e.g. Buzzard. 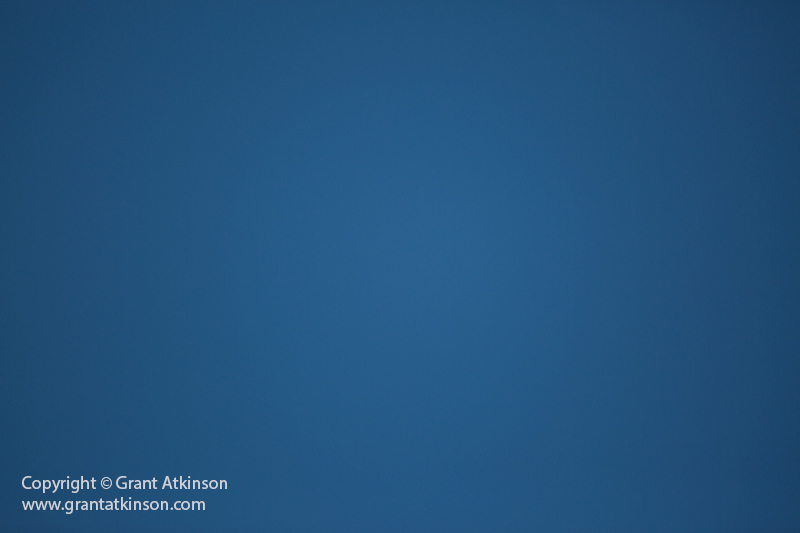 It seems to perform better on the 5d iv than my crop cameras, particularly focussing. It was a close run thing between the 400mm do ii and the 300mm ii, in the end I went for reach and the light weight. I have noticed that the image quality cannot compete with my L prime lens (600mm ii), but I suppose the extra cost and weight have to bring some benefit! The do ii seems pretty expensive for what it is but I really needed a lighter, good quality set up. Thanks for your guidance and comments. Hi John, I really appreciate your feedback on the new lens, and sharing it here. It helps build a bank of reference from other users out in the field, as opposed to just our opinion. I realize that my own use scenarios are heavily weighted toward hand holding, and I very often shoot my most important images of a given day in the lower light levels of the very early morning or in the late afternoon. Therefore I value the light weight and ease of use that the EF 400DO IS ii brings, as well as that extra stop of aperture, f4 as opposed to the EF100-400L IS ii, at 400mm. That advantage at 400mm of focal length that the DO lens holds over my EF 100-400 IS ii allows me to get faster shutter speeds but it also helps me to blur out strongly structured backgrounds better, which may not be a requirement for photographers who use their lenses mostly on birds flying in the sky…..
Our 400 DO IS ii will be getting a dry season Southern Africa workout from the end of June when we will be shooting it side by side with our EF 500L f4 IS ii in MalaMala and Mashatu game reserves! Right now I am working with the 500 alone. As always, a very good and practical review. Always a pleasure visiting your website. Great detailed and to the point review, especially adding the usability with extenders is a big plus for me. Thank you so much for the review, Grant. It was the deciding factor in finally purchasing the lens. It should be here tomorrow. It is ideal for my purposes because I make a lot of long hikes, often on snowshoes in order to photograph owls. The portability factor is a huge plus for me. As the lens does well with the 2x TC and owls are often static it should do very well in that scenario too. I often choose an APS-C camera on my owling trips so the ability to use all focusing points with the 1.4x TC should be a nice added feature over the 100-400 + TC too. 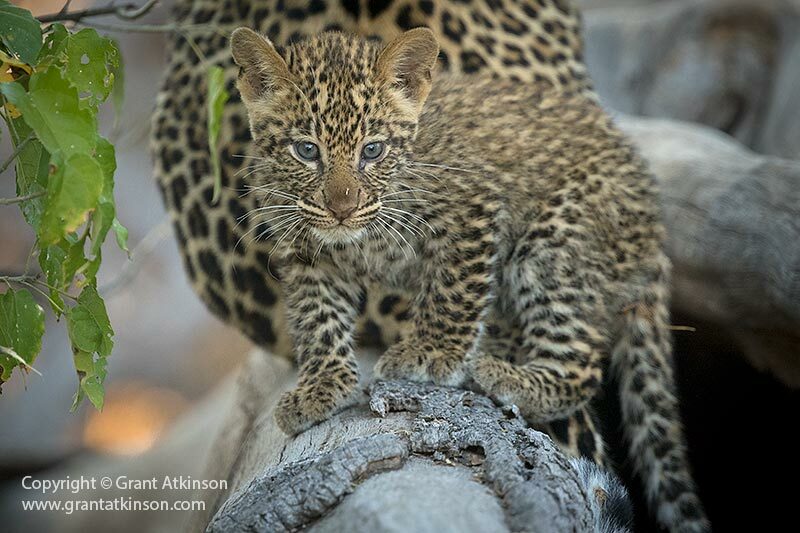 I also shoot with a 5D4 which I will probably pair with the lens for general wildlife. I have an EOS R on the way so it will be interesting to see how the lens adapts to the R.
Glad to hear that the review was useful. I think that this 400 IS ii will be good for the kind of shooting you are mentioning. I am thinking that we will look back on this second generation 400DO some day in the years ahead as one of the leading examples of how lighter and more compact gear can still deliver high image quality. We have an EOS R in our bag these days but I haven’t gotten around to using it on the 400DO in the field as yet. Our 400 DO IS ii continues to work hard for Helena and I and continues to impress us. Hello again, Grant. So my lens arrived and I am extremely happy with it. My 1DxII is out for repair but the 7D2 drives the lens fast enough for my purposes with the 1.4xIII but a little too sluggish with the 2xIII. The 5D4 does very well with the both the 1.4xIII and the 2XIII. The lens is very stout so with the weight so close to the body hand holding is just as easy as with the 100-400. The IQ exceeds my 100-400 both bare and with the 1.4xIII but believe it or not I still have not taken the time to MFA it. I should be able to improve on my results. For carry while walking/hiking I found that a Peak Design slide strap or similar attached directly to the lugs on the lens to be ideal. I think I have found the perfect lens for my purposes so thank you again for the review. I do have one question if you don’t mind. Your foot extension looks like a Wimberley if I am not mistaken. Would you be kind enough to share the details? It looks like a very good solution. Glad you got your lens and that it looks as if it is going to do the job well for you. I have just used a generic lens plate which I screw tightly to the single screw of the tripod foot. Any long lens plate will do the job but for sure if you can get a Wimberley or Really Right Stuff or Gimpro, then you know it will be built tough. Hope I understood your comment properly with regard to the foot.